Our expectations that the EURUSD quotation will increase is failed. Moreover, the US dollar stopped its weakening on yesterday's trading session, making it impossible to implement our trading ideas. It happened on the background of gaining new faith by market participants in the monetary policy of the US Federal Reserve. The percentage of market participants who are confident in the December rate hike rose. It is worth paying attention to the fact that today's trading session is actually the last one for the USA on this week. Thanksgiving Day will take a place today, and the US exchange will not open at all, and on Friday there will be a discount day, the so-called Black Friday, and the US stock exchanges will work only the first half of the day. As for trading ideas, today you can try to implement trading ideas based on the strengthening of the US dollar. 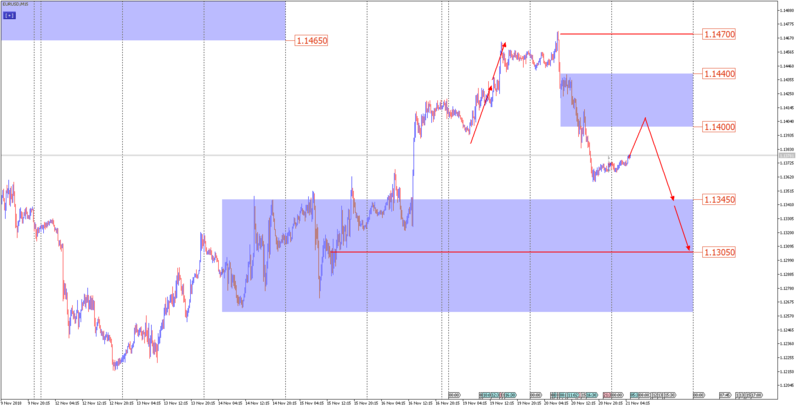 For example, on EURUSD during yesterday's decline, in the price range of 1.1400-1.1440, the maximum volume was traded. Today we will allow the seller’s open interest to be there. And if the price shows corrective growth in this area, then it is worth considering the entry points to the sale with a view to 1.1345 and 1.1305. The appearance of prices above 1.1440 will speak about the absence of any initiative on the market, and the appearance above the 1.1470 will speak about a reversal of the trend from the downward to the upward. Quotes of oil again update local lows, and in general it happens without any hint of a change in the initiative from market participants. The maximum amount on an new futures contract is in the area of ​​58.20-55.75, and only a breakdown of this volume will indicate that the downward structure is broken, and you can try to consider speculative purchases. In general, we continue to look at oil as a downward instrument. 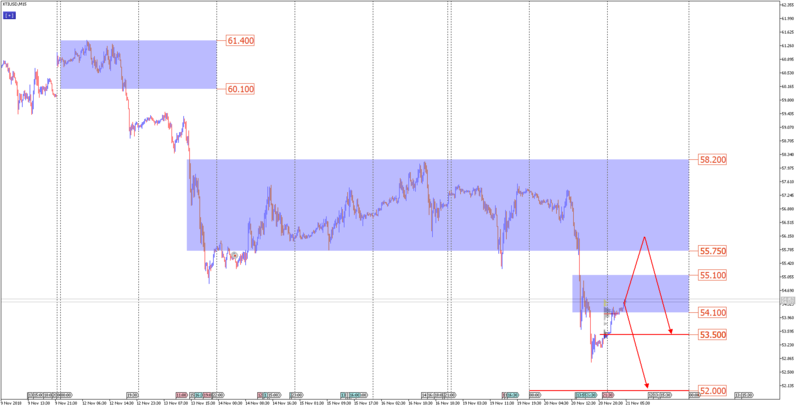 The first area where you can wait for the price to be rebounded is 54.10-55.10. From there you can count on falling to 52.00 and other round numbers. If we see a deeper correction, to the zone of 55.75-58.20, this will indicate a weak trend, and in this case, the sale should be considered only up to the target of 53.50.